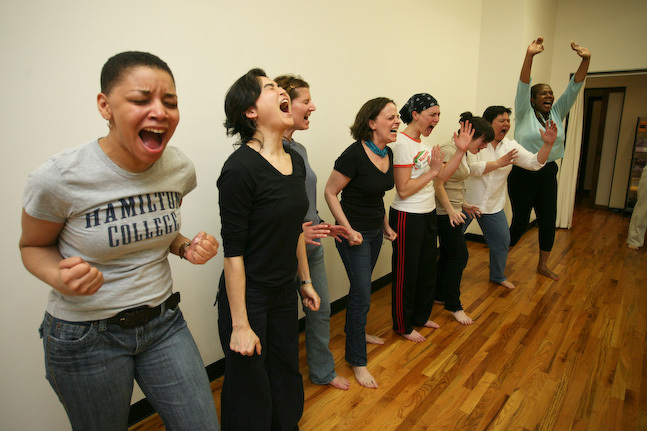 CAE's specially developed youth programs feature a host of positive youth development models designed to educate youth about all forms of violence, bullying, and harassment while empowering and equipping them with the tools they needs to break cycles of violence for themselves and within their communities. 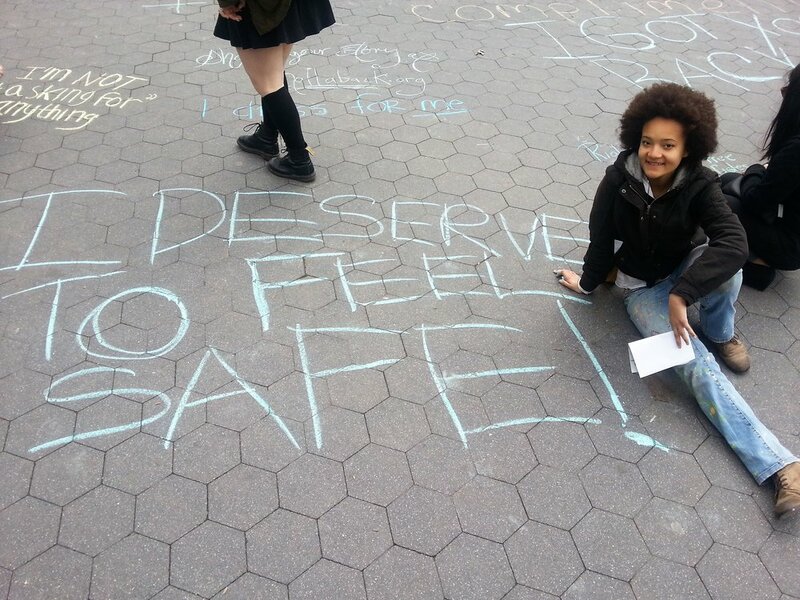 Pre-teen and Teen youth who identify as girls, transgender or gender non-conforming (across the spectrum) can register for five-week programs to learn physical, verbal and emotional self-defense techniques and tools at CAE’s Brooklyn Center. Youth train in a range of physical strategies, gain better awareness of their environments, and graduate with skills that include de-escalation and boundary setting. Five-ten week programs are also available for youth who are LGBQ or TGNC through pride centers, shelters and drop-in centers around the city. Click here for more information. All youth can request one-time workshops to be offered through their community organizations, neighborhood groups, faith-based institutions, or public library or park, in any neighborhood across the five boroughs. 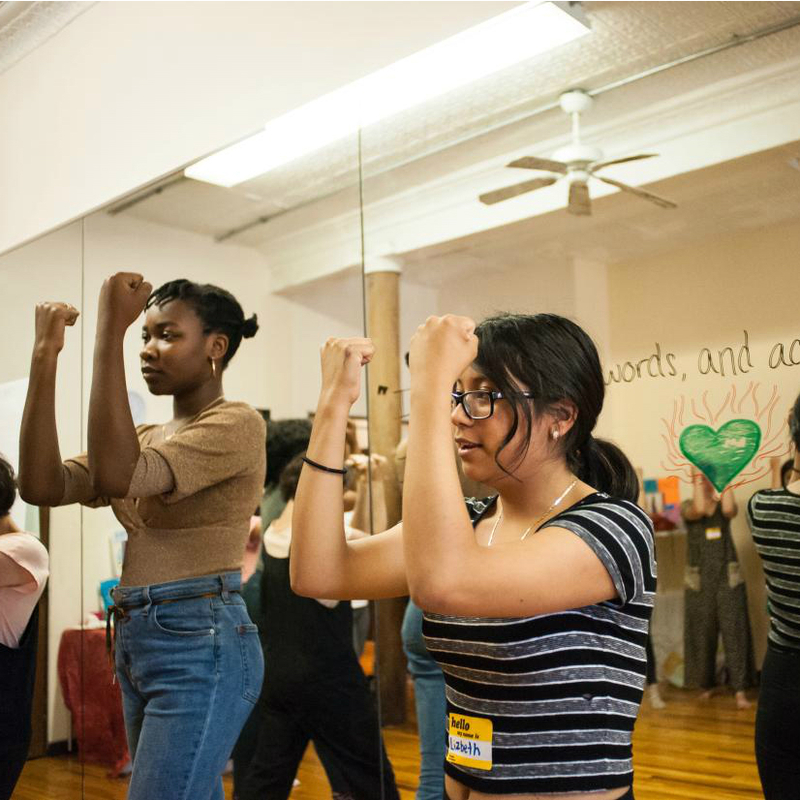 PACT is a self-defense, self-care and social justice after-school program for middle and high school girls, transgender or gender non-conforming youth across the spectrum. Pre-teen and teens meet at CAE’s Brooklyn Center every Thursday afternoon from 4:30 to 6:00 pm throughout the school year and train in physical, verbal and emotional self-defense techniques. They learn tools to address violence in their lives, particularly sexual, gender, relationship and hate violence. Youth graduate the program feeling stronger, safer and more confident, with skills to understand consent, set boundaries, build healthy relationships, and gain awareness around deciphering red flags, from bullying, to assault, abuse and trafficking. Many PACT members continue year after year, and are eligible to apply to become a Peer Educator after one year. 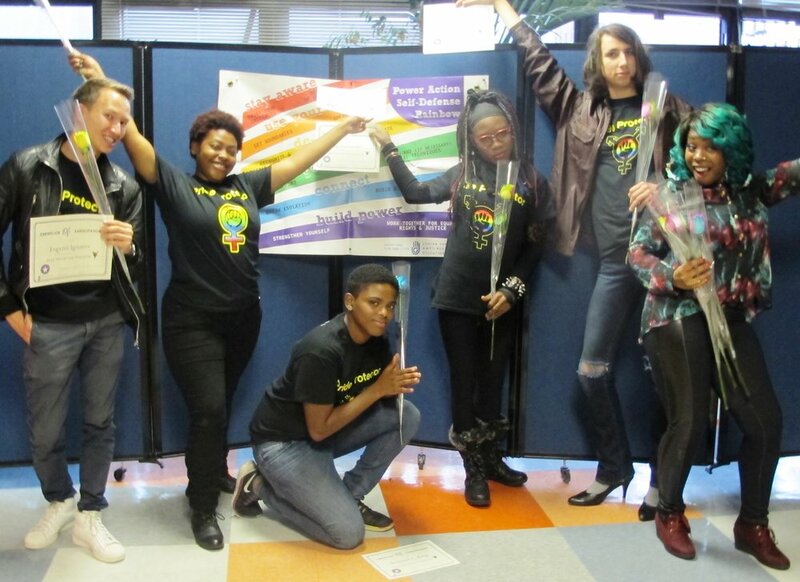 High School teens who identify as girls, transgender or are gender-nonconforming (across the spectrum) and have graduated PACT are eligible to train as Social Justice Activists and Instructors at CAE’s Brooklyn Center. After a summer-training camp, they continue their internship throughout the year teaching self-defense and Upstander techniques (CAE’s Bystander Intervention techniques) to their peers in schools, community organizations, faith-based groups, and in public places like parks and libraries. Peer Educators also learn a range of collective action strategies and work together as well as with broader networks, coalitions and movements to speak out against sexual violence, gender-based violence, relationship violence, hate crimes and more. 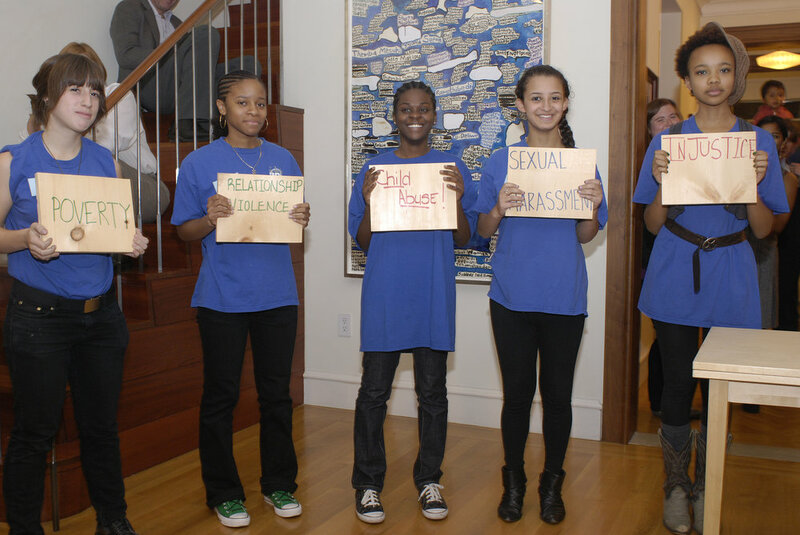 In the last year Peer Educators testified at City Council hearings, met with Elected Officials and participated in rallies, walks and demonstrations. The internship is posted at the beginning of each summer. Youth ages 15-24 who identify as Transgender or Gender Non-Conforming and have trained in CAE’s five-ten week empowerment self-defense course are eligible to apply to our Social Activist program. Pride Protectors centers issues of safety, healing, power and change that are specific to youth who are TGNC. Youth build a community of belonging, learning tools for activism and advocacy, and join collective actions like marches, rallies and speak-outs as participants as well as leaders. Pride Protector graduates are eligible to apply to be trainers with CAE’s self-defense and Upstander programs around the city. One-time Upstander trainings prepare teens to speak or act in support of strangers as well as those they know, when bullying, harassment or any form of intolerance is taking place. Upstanders learn basic self-defense concepts to keep themselves safe when they are standing up for others. They explore what it means to be an ally in a range of situations, learn de-escalation techniques, and how to support those targeted or at risk in empowering ways. Individuals can request one-time workshops to be offered through their school, community organizations, neighborhood groups, faith-based institutions, or public library or park, in any neighborhood across the five boroughs; click “request more information” to set up a workshop. CAE periodically offers free Upstander trainings to the public, check our Calendar of Upcoming Programs for any offerings.